Mayor Bob Filner was spotted heading to discuss a possible settlement with one of his accusers on Monday. An attorney for Irene McCormack Jackson confirmed to a CBS San Diego affiliate that the mayor, who has been accused of several instances of sexual harassment, did indeed show up for a mediation session with her client. That might explain why the mayor was absent from City Hall for a portion of the day on Monday. 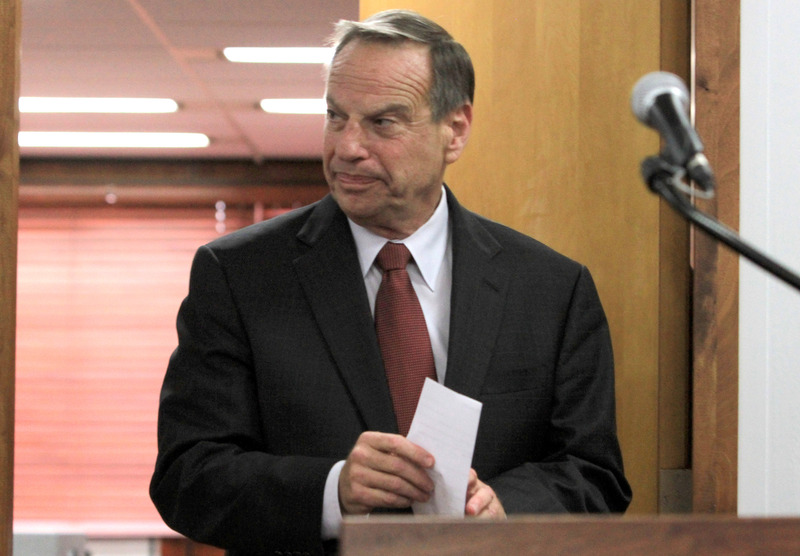 The mediation sighting occurred on Filner's first day back on the job after an intensive two-week therapy stint to help him cope with his addiction to bad behavior, which has landed him in seriously hot water. So far sixteen women, including a great-grandmother, have said that Filner sexually harassed them. The allegations range from smacking women on their behinds to putting them in headlocks. Even his ex has gone public, saying that Filner would text other women sexually explicit messages right in front of her. The movement to recall Filner as the mayor of San Diego is gaining more and more steam. City Councilman Kevin Faulconer called for Filner to step down in no uncertain terms on Monday saying that the mayor should "quit dragging the city of San Diego through this. He needs to resign. He needs to go get the help that he clearly and desperately needs." Filner has no intention of going anywhere though and plans to push through the scandal. Before heading to therapy he said that he planned to return to office to "focus will be on making sure that I am doing right by the city in terms of being the best mayor I can be." A recall effort that started Sunday has until September 26 to get the signatures of 101,597 San Diego voters. If they don't quite make it, they'll have another 30 days to keep trying via a supplemental petition. If recall efforts succeed, San Diego could be electing a new Mayor by the end of the year.